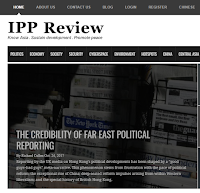 "The Credibility of Far East Political Reporting"
Introduction: Imagine a well-organized group of young British political activists, demanding greater input into governance decisions, taking over the House of Commons and occupying it for around four weeks — closing down all parliamentary operations — and also taking over key offices in Whitehall for a time. Next, imagine a similarly focused group of activists, later the same year, staging very large, mass political reform demonstrations — running for around three months — occupying key public thoroughfares in Central London, including Piccadilly Circus, Marble Arch and Whitehall, shutting down virtually all vehicular transit as they demand “true democracy” and the Prime Minister’s resignation. It is hard to imagine that this would be so — that the coverage would be so tilted. 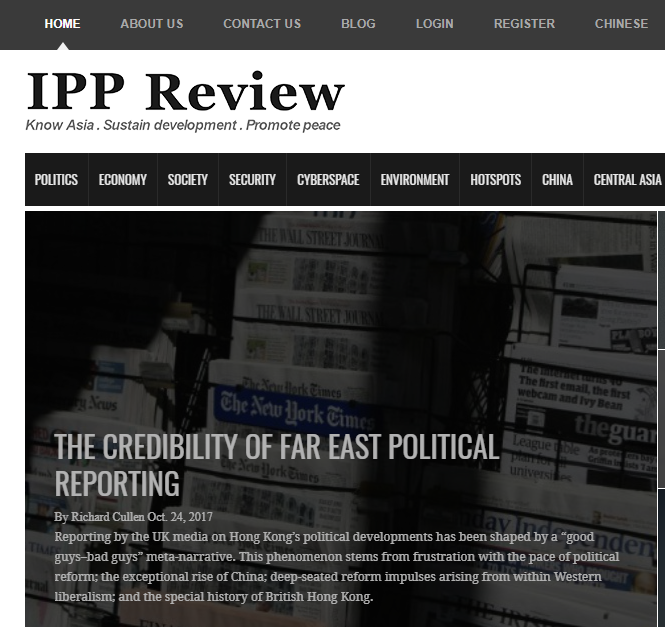 Yet this is a fair summary of the way that much of the media from the UK covered the “Sunflower Movement” in Taiwan in early 2014 and the “Occupy Central Movement” (OCM) — also known as the “Umbrella Movement” — in Hong Kong later that year... Click here to read the full article.